From award-winning author Lindsay Harrel comes a powerful story of adventure, healing, and learning how to live life to the fullest. Megan Jacobs always wished for a different heart. Her entire childhood was spent in and out of hospitals, sitting on the sidelines while her twin sister Crystal played all the sports, got all the guys, and had all the fun. But even a heart transplant three years ago wasn't enough to propel Megan's life forward. She's still working as a library aide and living with her parents in her small Minnesota hometown, dreaming of the adventure she plans to take "once she's well enough." Meanwhile, her sister is a successful architect with a handsome husband and the perfect life--or so Megan thinks. 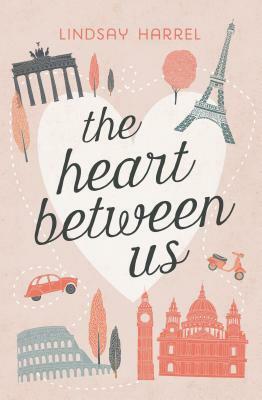 When her heart donor's parents give Megan their teenage daughter's journal--complete with an unfulfilled bucket list--Megan connects with the girl she meets between the pages and is inspired to venture out and check off each item. Caleb--a friend from her years in and out of the hospital--reenters her life and pushes her to find the courage to take the leap and begin her journey. She's thrown for a loop when Crystal offers to join her for reasons of her own, but she welcomes the company and the opportunity to mend their tenuous relationship. As Megan and Crystal check items off the bucket list, Megan fights the fears that have been instilled in her after a lifetime of illness. She must choose between safety and adventure and learn to embrace the heart she's been given so that she can finally share it with the people she loves most.